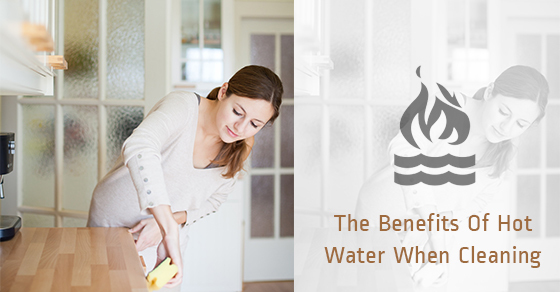 Why Hot Water Is Superior When It Comes To Cleaning? Why do we turn the water hot when it’s time to wash something? Oddly, it’s a mix of both myths and facts. This myth is so deep-rooted that almost everyone washes their hands in hot water. This trend alone uses more energy in the United States than the nation of Barbados uses as a whole throughout the entire year, and it’s based on a complete lie. This lie is believable because boiling water does, indeed, kill germs. However, humans cannot possibly stand the kind of heat that would be required, either when washing their hands or sponging down a countertop. Even the weakest of germs requires at least a full minute of exposure at 55 degrees Celsius, far more than human skin could stand. The stronger germs, including those that cause the common cold, require temperatures above 90 degrees, often for a minute or more. This would cause severe burns to a person. Long story short, unless you’re the Human Torch, germs can withstand hot water much better than you can. Here’s where hot water shines: Grease and oil congeal into solids with high bonds, meaning that they stick to containers instead of naturally floating on top of water. These bonds can be easily broken with heat. The melting point for bacon fat is around 35 degrees, and dairy fat is not much higher. This is cool enough to keep your hands in. When the fat is exposed to warm water, it melts, floats, and washes away. “Lifting dirt” is a special property of soap, essential oil, and other fat-based cleaners. When lifting dirt, a cleaner’s molecules surround dirt particles and bond with them, separating them from other dirt and from surfaces. They can then be washed or wiped away. Hot water is still just water. It does not surround or bond with any type of insoluble dirt. It can only do so much. When water heats up, its molecules move faster and bounce off each other more. This creates more space between the molecules that can be filled with dissolved solvents. As a result, hot water can dissolve much more material than cold water. This makes it the first choice for cleaning any kind of syrup, sugar, or salt crust. Additionally, hot water transfers heat to whatever it touches. Hot water mixed with soap gives you hot soap, which is more effective at lifting dirt. For more information on common cleaning myths or to learn the best practices in household cleaning, contact the experts at Sunrise-Cleaning today!